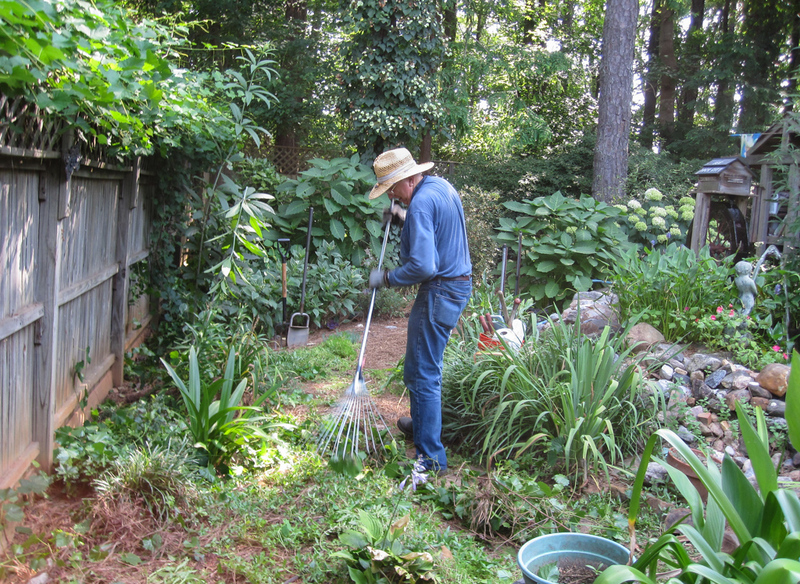 Jackie Kujawa organized a Weed and Feed to assist member George Nash at his home. Ten of our members turned out to spruce up his yard with his gorgeous hydrangeas and pond area. Del Olds lending at helping hand at the George Nash weed & feed.